Paralympic swimming champion Ellie Simmonds has given the University of Bath’s newly-refurbished London 2012 Legacy Pool the thumbs up, describing it as “incredible”. The four-time gold-medallist, who has an honorary degree from the University, visited the Sports Training Village on Friday to promote the Sainsbury’s School Games. 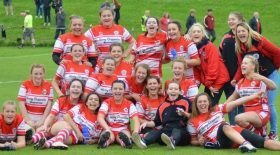 The West of England regional finals – organised by the West of England Sport Trust (Wesport) – will once again take place at the University of Bath, with this year’s competition on Wednesday, July 8. 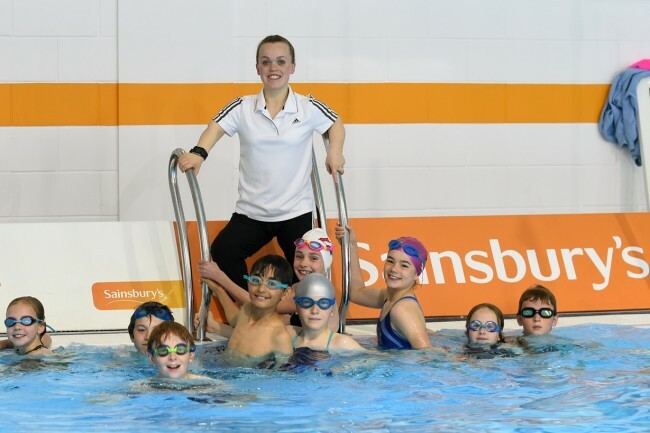 After staging a swimming lesson for pupils from Bathwick St Mary Primary School, Simmonds said both the Games and the refurbished pool were great examples of the London 2012 legacy in action. “For kids from local schools to have a facility like this to compete in is incredible,” said the 20-year-old, who competed at the School Games in 2006 before going on to win double gold at both the Beijing 2008 and London 2012 Paralympic Games. Simmonds was assisted with the swimming lesson by Sports and Social Science student Emma Heaton, who is a voluntary swimming coach with Team Bath Tribe.